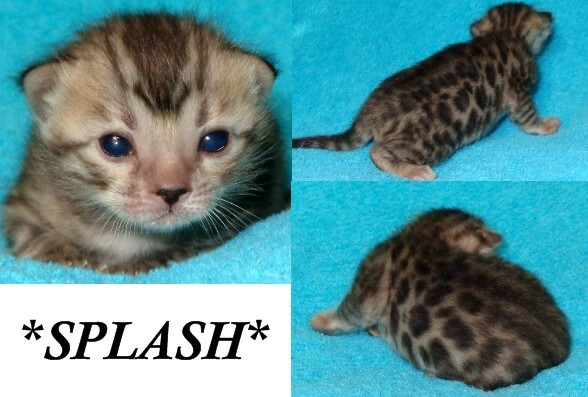 Splash is currently under evaluation as a potential show/breeder Bengal and is not available at this time. She is a silver donut rosetted Bengal kitten with tons of glitter. This entry was posted in Bengal Kitten Gallery, Gallery and tagged Bengal, Bengal kitten, silver rosetted. Bookmark the permalink.